Set of Parts - Flute/Piccolo, Oboe, Clarinet, Horn, Bassoon, Bass. Composed by Leos Janacek (1854-1928). Edited by JirÃ­ Zahradka. Sheet music. Henle Music Folios. 20th Century, Classical. Softcover. 92 pages. G. Henle #HN1093. Published by G. Henle (HL.51481093). 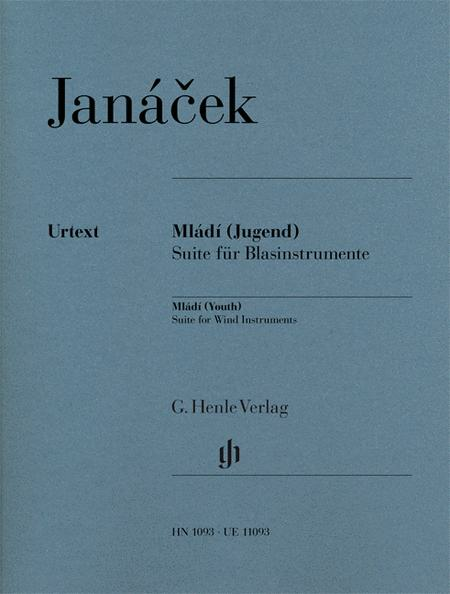 Leos Janácek composed his Suite for wind instruments 'Mládí' in 1924, when he was over 70 years old. Numerous sources still survive for this work, making it difficult to establish the definitive musical text. 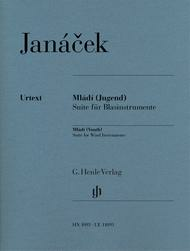 For Henle's Urtext edition - a cooperation with Universal Edition Wien - Jirí Zahrádka from the Janácek-Archiv in Brno succeeded in brilliantly surmounting this difficulty: he consults all of the handwritten sources for the edition for the first time and is thus able to give exact instructions, for instance regarding the numerous tempo variants.